For the eighth straight year, the National Trial Lawyers Assoc. names Skip Pita a Top 100 Trial Lawyer in Florida for 2018. This ranking is based on rigorous peer review. For the second straight year, the National Trial Lawyers Assoc. names Skip Pita as a Top 25 Medical Malpractice Lawyer in Florida for 2018. This ranking is based on rigorous peer review. 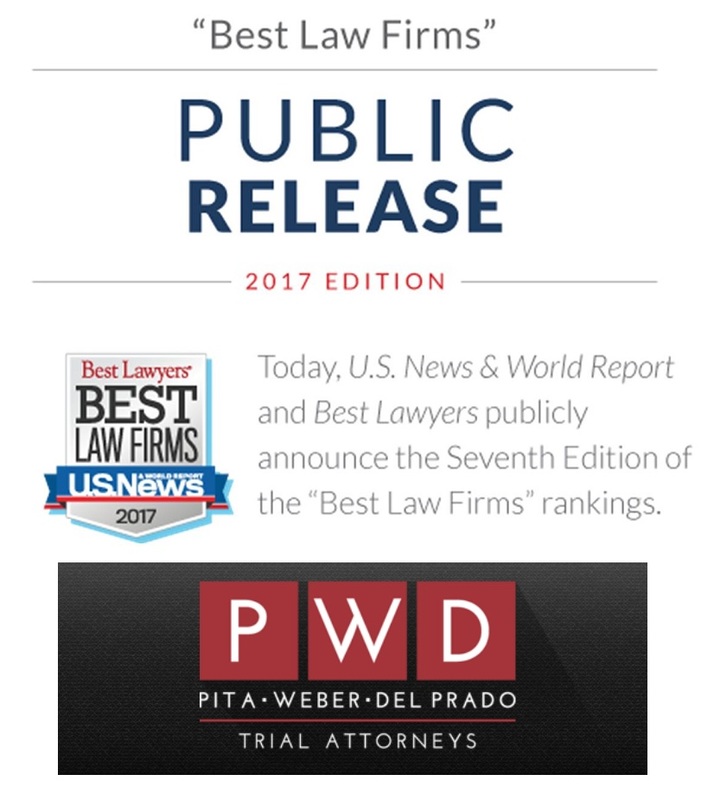 For the eighth straight year Best Lawyers in America with U.S. News & World Report recognized Skip Pita for his high caliber work representing the injured in personal injury litigation. Skip Pita will again be recognized in the 25th Edition of Best Lawyers in America, published for 2019. This recognition is based on rigorous peer review.